Description: WWYY is a United States class A radio station broadcasting on 107.1 FM. The station is located in Stroudsburg, Pennsylvania, but is licensed to Belvidere, New Jersey and serves the Poconos and the Lehigh Valley. The station is currently owned by Nassau Broadcasting Partners. The station now offers a modern rock format and is known as "The Bone" Its tagline is: "The Valley's Real Rock Station. "This article may require cleanup to meet Wikipedia's quality standards. Please improve this article if you can. The talk page may contain suggestions. (February 2008)WWYY began operation on October 15, 1992, as WRNJ-FM. The station was owned by Norman Worth and Larry Tighe, who also owned and still own WRNJ (then on AM 1000 now on AM 1510). WRNJ-FM offered a country music format to the northwestern New Jersey area, Lehigh Valley, and the Poconos. Except for the Lehigh Valley, most of this region was without its own country music station after WIXL (now WNNJ) dropped country music in May 1988. For a few months northwestern New Jersey could get Country music on New York City based WYNY (then on 97.1). But in October 1988 WYNY's unit moved to 103.5 FM and as a result could not reach northwestern New Jersey because WNNJ-FM was and still is located on 103.7 FM, blocking 103.5 FM out of the area. For four years this area could not receive country music on the radio. WRNJ-FM finally filled that hole. But several days later financially troubled WFMV out of Blairstown abruptly became "Hot Country 106.3 WHCY". So the area went from receiving no country stations to receiving two.Both WRNJ-FM and WHCY used large amounts of satellite programming. By the beginning of 1994, WHCY would be local and live full-time. WRNJ-FM continued being mostly satellite programming. As a result, WHCY clearly became the stronger Country music station. Both stations still held their own. WRNJ-FM tended to pull decent ratings in the Lehigh Valley while WHCY pulled good ratings in Sussex County. In the Summer of 1997, Easton based 96.1 WLEV would adopt a Country music format and become "WCTO Cat Country 96.1". The intellectual WLEV Adult Contemporary unit would move to 100.7 FM.WCTO had a good signal not only in the Lehigh Valley, but in much of the Poconos, and in Sussex and Warren County. As a result ratings would go down for WHCY in Sussex and for WRNJ-FM in the Lehigh Valley. WRNJ though was hurt more by Cat Country because of its proximity with the Lehigh Valley. WRNJ-FM was pulling very low ratings by the Spring of 1998. WRNJ-FM was shut down at the end of April and began to simulcast the WYNY Y 107 Triplecast and a sale to Big City radio was immediately announced. That summer, Big City Radio acquired 107.1 WRNJ-FM outright. WRNJ-FM was renamed WWYY, so its addition formed a quadrocast.This actual Y 107 unit was born in December 1996. A broadcast group called Big City Radio bought three class A FM stations, each located about 45 miles from New York City. Big City Radio shut down local operations for two of the stations and began programming country music out of their Westchester County station, licensed to Briarcliff Manor, New York and located north of New York City, first under the call letters WWXY and soon after as WYNY. As WYNY barely reached New York City and had no signal to the south or east, Big City simulcast the programming on a station on the New Jersey Shore, licensed to Long Branch which was named WWZY and was also on the 107.1 frequency. The same scenario occurred at their Hampton Bays, New York-licensed 107.1, located on Long Island, which was named WWVY but became WWXY when the Briarcliff Manor signal became WYNY. The entire trimulcast was labeled and branded as "New Country Y-107".The intent of this scheme was to reach the New York City market with a grade B signal and bring country music to a city without such a station. In addition, the communities surrounding New York City received a good signal, given three stations were located in suburban areas and one station was rural. This was not unique to New York; Big City Radio had a trimulcast in Los Angeles and multiple simulcasts in Chicago, and Phoenix. Luckily for Big City, the suburban coverage worked fairly well in New York City as country listeners were more apt to live in the suburbs, the area covered better by Y-107, than in New York City itself.The country music format usually pulled low ratings in the actual New York City market, but in imbedded markets like Long Island, the ratings were fair. On the Jersey Shore, as well as in north-central Jersey, Westchester County, and the Lehigh Valley, Y-107 pulled fair to very good ratings. The station was profitable.In 1998, WRNJ-FM would become WWYY and be added to the triplecast, making it a quadcast. WWYY though was 70 miles away from New York City. Later that year, Hispanic investors bought into Big City Radio. They flipped the company's low-rated trimulcast in Los Angeles, also called Y107 (but airing a rock format), to a tropical Spanish-language format. This move sparked rumors that the Y-107 quadrocast in New York could change format. Denials were made in 2000 while simulcast networks in other markets went to Spanish-language formats; Phoenix, on KMYL in 2000, and Chicago, on WXXY-FM in 2001.Still Y-107 held on to the country format. In 2001, rumors began to heat up again that a change was in the air. At the start of 2002, Big City Radio announced that indeed the rumors would now be true, but not until May. As with 103.5 WYNY, the air personalities all were given the opportunity to say goodbye, but they did this less melodramaticly than in 1996. In its last week as a country format, Y-107 was automated except for mornings; finally, on May 7, Garth Brooks' "The Dance" closed out the country format on Y-107.Big City Radio flipped the quadrocast to Spanish contemporary hits under the branding "Rumba 107.1". The format did horribly. A major reason for this, and many of Big City Radio's other Spanish conversions, was that the signal combinations worked together to serve metropolitan areas, but failed to hit the urban areas which typically have Hispanic populations. Regardless of programming, while suburban residents (and rural farmers in the case of one 107.1) were able to pick up the 107.1 signals, urban-dwelling Hispanics were unable to pick up the signals. In not only New York but also Chicago, former-Big City Radio stations adopted English-language formats once they were resold.At about the same time, Big City Radio was in debt and filed for bankruptcy. They sold their stations as units in many cases to Hispanic-based companies including Spanish Broadcast System, Hispanic Broadcasting Company, and Entravision. The New York area quadrocast, however, was sold to Nassau Broadcasting. Nassau initially considered returning the country format to the quadrocast, but instead opted to break up the quadrocast, selling three of the four stations.In April 2003, Nassau broke up the quadrocast, selling three of the four stations. WWZY was sold to Press Broadcasting, which retained the call letters and began broadcasting a soft AC leaning 60's to 80's oldies format under the moniker "The Breeze"; later, two equally-small New Jersey stations began simulcasting WWZY to form a new trimulcast. WWXY on Long Island was sold to The Morey Organization/Jarad Broadcasting, which initially simulcasted WLIR; by early 2004 it was superseded by a relocated WLIR-FM, and then adopted a "NeoBreeze" format in late 2005. In Westchester County, WYNY was sold to Pamal Broadcasting and initially simulcast WSPK "K104", a CHR station in Poughkeepsie, New York, as WXPK, but adopted an AAA format as "The Peak", retaining the same call letters.Nassau retained the WWYY, which kept those call letters and launched an adult contemporary format as "Lite 107". The station was moved to Nassau's Stroudsburg facilities that also house WVPO and WSBG. Norman Worth and Larry Tighe though continue to own WWYY's current transmitter site.The new Lite 107 format was developed by Steve Gallagher(WOBM) as Program Director/PM Drive and the new imaging was a collaborative effort created by Paul Fuhr(Four)(WOBM) as Mornings/Imaging Director.Following Gallagher's departure in late 2003 Rod Bauman, also WVPO's Program director, would take over the helm and move to PM Drive instituting an automated 'Lite Love Songs' 7:00pm -Midnight (Imaging Paul Fuhr using Jim Merkel)In 2006, Nassau arranged the sale of its Stroudsburg/Poconos/Lehigh Valley cluster to an African American owned company called Access.1 Communications, including WWYY, but the deal fell through.On May 3, 2007, the light-adult-contemporary format moved to WSBG 93.5 FM shutting down the pop/rock format that occupied that station. 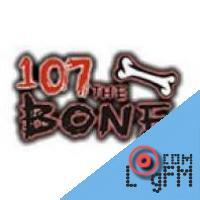 WWYY then switched to a hard rock format and is branded as "107.1 The Bone." The current line up is:5:30-9am: The Free Beer and Hot Wings Morning Show9am-3pm: Gina Crash3pm-9:30: Scotty BrilliantIn 2009, the station took over as the Lehigh Valley affiliate for the New York Yankees Radio Network, replacing sister stations WEEX and WTKZ after they became the flagship stations for the minor-league Lehigh Valley IronPigs. Advertising: . At LogFm.com you can listen to any of the 45,000 radio stations online. We have made it easy for you to find your favorite radio, listen to the music you like, find the best new songs, listen to the latest news, etc. Simply type the station name in the search box and enjoy your choice. Listen to the radio online at LogFm.com. Our E-mail: info@logfm.com. Live WWYY-FM (107 The Bone). Rock and pop music, to listen to the latest news online.All rights reserved. 2009-2019 © LogFm.com.